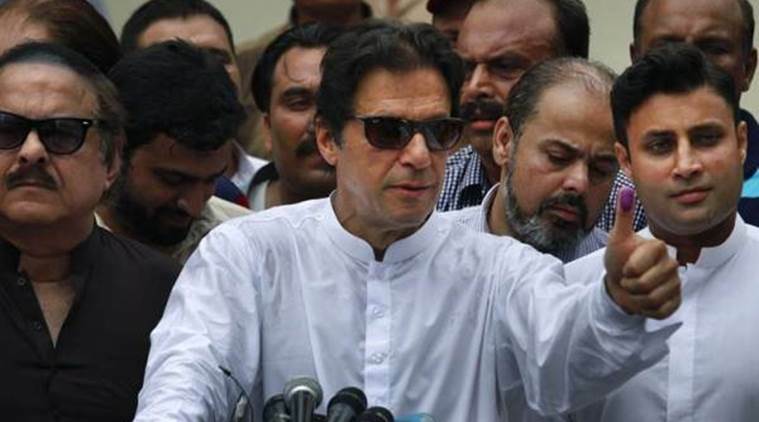 The Week So Far: Can Imran Khan rise above the corruption which has mired Pakistan’s politics? If anyone Khan, Khan can! At the time of writing this it looks as though ex-cricket star Imran Khan is going to become Pakistan’s next prime minister and I can not think of anyone better to lead the country. He’s passionate about justice and if he’s allowed to get his way I think the future could look bright for a country with huge potential. The greatest asset Pakistan has is its people and yet they’ve been continually let down by corrupt leadership, politicians and a ruling elite whose priority has been to fur line their own pockets ahead of the interests of the public. I’ve met and interviewed Khan several times and his anti-corruption stance will no doubt rattle those self-serving individuals who have spent years fleecing the country. The dominance of the military is also a cause for concern, especially since around 60 per cent of the country’s budget goes on the military. Imagine if that money was invested, instead, on education and health. Khan now faces his biggest test and the big question is can he rise about the squalor of corruption which has held his country back? I wish him and his party PTI the very best in what will prove to be his biggest challenge to date. His arrival in the top job could also mean good news from Dr Aafia Siddiqui, a woman I’ve long held the view is the most wronged woman on the planet, a victim of a gross miscarriage of justice. If anyone can get her repatriated from the prison in Texas where she’s serving an 86 year sentence, Khan can. World War Two pilot Mary Ellis has died aged 101. She was one of the last in a line of distinguished but largely unsung heroines from the Air Transport Auxiliary (ATA) who used to fly and deliver Spitfires and bombers to the front lines. She said she had flown “about 1,000 aeroplanes” during the war, before moving to the Isle of Wight in 1950 to take charge of Sandown Airport. There are thought to be three survivors left – Eleanor Wadsworth who lives in Bury St Edmunds, Nancy Stratford in the US and Jaye Edwards from Canada. US President Donald Trump’s much threatened trade war between America and Europe has turned out to be pretty much like him … full of hot air, bluff, bluster and little substance. The US has just agreed to work towards lowering trade barriers after European Commission chief Jean-Claude Juncker gave the president a reality check. A new agreement geared towards zero tariffs is now being worked upon between the US and EU with both parties agreeing to increase trade in services and agriculture, including greater US soy bean exports to the EU. The agreements come amid speculation over heightened tensions between the US and EU. Meanwhile Ford, General Motors and Fiat Chrysler have all lowered their profit forecasts for 2018, citing higher steel and aluminium prices caused by trump’s new US tariffs. Sales in China have slumped and shares in all three US motor companies dropped after they reported their results. Trump’s trade wars elsewhere could turn out to be counter productive. In the meantime the star on the Hollywood Walk of Fame bearing Trump’s name has been vandalised by someone with a pick axe. This is not the first time someone has damaged it which could be a sign of the times. What happened to cool Britannia? The current heatwave in Britain has brought some unwelcome sights around the UK as men with beer bellies decide it’s OK to swagger around without their shirt tops … it’s not! The white species usually turn pink and peel while those with six-packs and washboard abdomens prance around like vain little peacocks staring at their reflections in shopping mall windows. OK, it might be a generalisation but you get the picture. Can we all just calm down please?! Since these sort of heatwaves could become the new norm in Britain we really need to learn to cope with rain-free, cloud-free, sunny sunshine days. Thanks to climate change there’ll be many more future heatwaves with mercury levels reaching 38.5C by the 2040s, according to the experts. Oh, and one more thing … can we have a law against middle-aged men wearing white socks with sandals, it’s not a cool look and never has been. No wonder the rest of the world throws itself into fits of giggles as we Brits struggle to keep cool in the heat! I’ve always viewed the National Health Service as one of Britain’s most enduring achievements which has gained an international reputation of excellence in its 70 years. I’m speaking from personal experience as in recent days my 91-year-old mum was admitted to hospital in Newcastle where she underwent emergency surgery. She’s now recuperating with excellent round-the-clock attention from a dedicated team of nurses. The NHS is the greatest socialist achievement in her lifetime which is something for my Tory-voting mum to reflect upon while she recuperates. Long may they both continue!